Most of us see old milk jugs as something for the recycle bin (or, in the case of one blogger, the makings of a D.I.Y. Storm Trooper helmet). But for toy maker Green Toys, the plastic jugs become the start of something fun: toys. 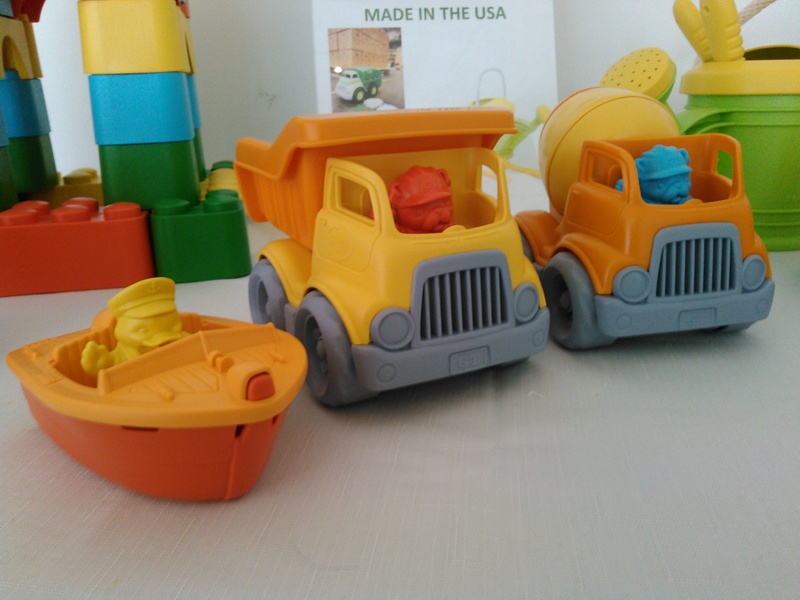 Green Toys' line -- which ranges from kitchen sets to vehicles piloted by little bears -- is made completely from recycled milk jugs. To date, the company has recycled over 24,000,000 jugs. The plastic that milk jugs are made out of is called high-density polyethylene. Since this type of plastic is used for food storage, it is also safe for children. Green Toys products pass several safety tests, including the FDA regulation for food contact. Additionally, the products are in packaging made from recycled cardboard without any plastic or wires (one of the most annoying elements of toy product packaging). This makes the packaging completely recyclable. The toys themselves are also recyclable. "While the major toy companies market licensed characters, Green Toys focuses on issues parents are more passionate about, including open play, safety and respect for the environment," said Robert von Goeben, President and Chief Creative Officer of Green Toys. This follows a trend of an increase in HDPE plastic recycling. According to the American Chemistry Council, the amount of plastic bottles recycled has increased every year since 1990. They estimate that over 1 billion pounds of HDPE plastic was recycled in 2013.